Cinthia De Levie lives and works in Buenos Aires. Her work explores constructions of otherness, with a particular focus on the visual and material culture produced within institutional sites of display. She has carried out investigations in museums of anthropology, ethnography and natural sciences in Argentina, Italy and Mexico. She works with drawing, installation and performance. She has been recipient of creation grants (Fondo Nacional de las Artes, BECAR/Cultura) and travel grants (Prince Clause Fund) and has been an artist in residence at Museo Experimental Eco –UNAM (Mexico) and AMEXCID (Mexico). Judith Raum (1977) is a Berlin-based artist and author. She studied Fine Art, as well as Philosophy, Art History and Psychoanalysis in Frankfurt/Main and New York City. Her painting, objects and texts, combined into lecture performances and installations, explore the tension between social-historical research and artistic desire. Besides exhibiting, she frequently teaches at Art Academies across Europe. From 2011-2013, she was a fellow of the Graduate School for the Arts and Sciences at the UdK Berlin. In 2015, she was Villa Romana Fellow in Florence, Italy. Christian Botale Molebo was born in Kinshasa/Zaïre in 1980. He studied visual communication at the Kinshasa school of Fine Arts in 2006 and graduated from the Haute Ecole des Arts du Rhin of Strasbourg, in 2012. Visual artist, performer and choreographer, he primarily works with his body and objects that he appropriates to strengthen his pieces. His work is unstable and requires an emergency process. Loaded with his own history and his native country, impermanent risks are a constant in his work. He is using chaos as a tool, drama is at the heart of his work. Christian Botale is a storyteller. Throughout choreography, performative interpretation of traditional dances, he is telling stories about the colonial period of the Belgian Congo, the Congo Free State and the Zaïre under Mobutu’s dictatorship all transmitted by word of mouth by his father. His current project KOK-LAT-VIL One-man-Sleepless night-Recreation-Exhibition is questioning inheritance, how to manage this legacy coming from the ghost of the past and the becoming of the spectrum and its heritage over the living world. Ely Daou was born in Beirut, Lebanon, in 1986. Raised in the years of the Lebanese Civil War, politics and uncertainties have played a huge role in his life and artistic practice. Ely is currently based between Barcelona and Berlin. Phumulani Ntuli holds a Masters in the Fine Arts- Arts Public Sphere from (ECAV) Ècole Cantonale D’Art du Valais in Sierre-Switzerland and was awarded Prix-excellence for his ongoing research project “Permutations of an event” centered around notions of archives and surveillance. Ntuli’s opus merges the ambit of artistic research, sculpture, video installations and performative practices. Ntuli’s process is formulated by artistic convergences that overlap between/ around and/or in documentation(s), image and visual as spaces of engagement. He consistently engages diverse publics/ audiences and attempts to make visible History’s gaps/ breaks/ silences/pauses and remnants. Ntuli’s artistic framework draws in these issues immanence/ imminence within our present and how they can influence practices within the spectrum of futurity. As an artist/ practitioner Ntuli has presented and/ or contributed work within the context of the 2016 Kampala Biennale in Uganda curated by Elise Atangana, the 2016 Bone Performance Festival in Bern Switzerland, curated by Valerian Maly and also performed in the 2016 Act Festival in Geneva, Basel, Sierre and Zurich. During the aforementioned year, Ntuli participated in residencies/ workshops at the Fondazione Pistoletto in Biella, Italy and AIR Antwerpen in Belgium. Ursula Mayer’s multimedia practice interweaves myth, biopolitics and semiotics of cinema to visualize upon future post human ontology. She received the Derek Jarman award in 2014. She has recently exhibited at Hayward Gallery, Moderna Museet, Stockholm; Performa NY, ICA, London. Chris McCormack is a writer and associate editor of Art Monthly. He was contributed numerous essays and texts for catalogues. Reza Mirabi studied Visual Arts in Mumbai and is enrolling in the Masters of Choreography in Amsterdam. He lives in Berlin working in the interface between exhibition and performance, creating hybrid and sci-fi formats that immerse the visitor into speculative futures and associative realities. He designed the PURPOSE brand as a speculative morphogenic material informing choreographically bodies and objects alike. 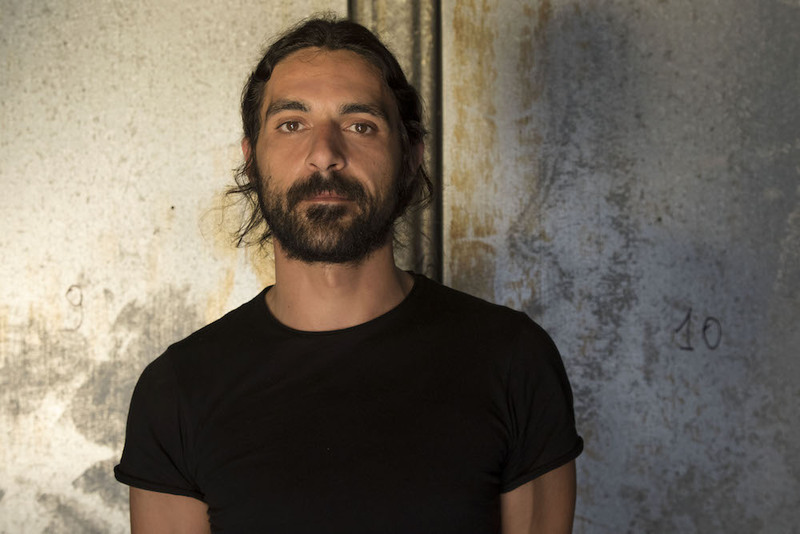 Michele Rizzo is graduated in 2011 at the SNDO (School for New Dance Development, Amsterdam), where he is now a guest teacher in choreography and movement research. In 2015 he has graduated at Sandberg Institute of Amsterdam, completing the Dirty Art Department master program in visual arts. He is part of Amsterdam choreographic platform Dansco, artist space Jacuzzi, and guest artist at Grip (BE). Nyakallo Maleke (1993) is a South African Artist based in Johannesburg. She works with installation, video and printmaking to think through ideas of personal memory, space and the everyday. She is currently enrolled in a MAPS (Master of Art in Public Sphere) at Ècole Cantonale d’art du Valais, Switzerland and she is currently interested in asking questions around doubt, vulnerability and methods for adapting, and how it can be imagined as an economy that can become rearticulated, through public space and place, the body and writing. Nyakallo is an Asiko 2016 Addis Ababa alumnus and is currently participating in the School of Anxiety research project curated by Moses Serubiri, as part of the 10th Berlin Biennale 2018. Nyakallo obtained her BFA from the University of the Witwatersrand (2015). Her first solo show was in Windhoek, Namibia for the inaugural John Muafangejo Art Season in 2016. Group shows include NGO – Nothing Gets Organised, Johannesburg (2016) and The New Parthenon at Stevenson Gallery Cape Town (2017). Anne-Lise Le Gac lives in Marseille. She studied at the Fine Arts School of Strasbourg from 2003 to 2008, focusing on performance art. She completed the ESSAIS Master Program for Dance at CNDC Angers in 2013. In 2014, she worked with the choreographer Claudia Triozzi. 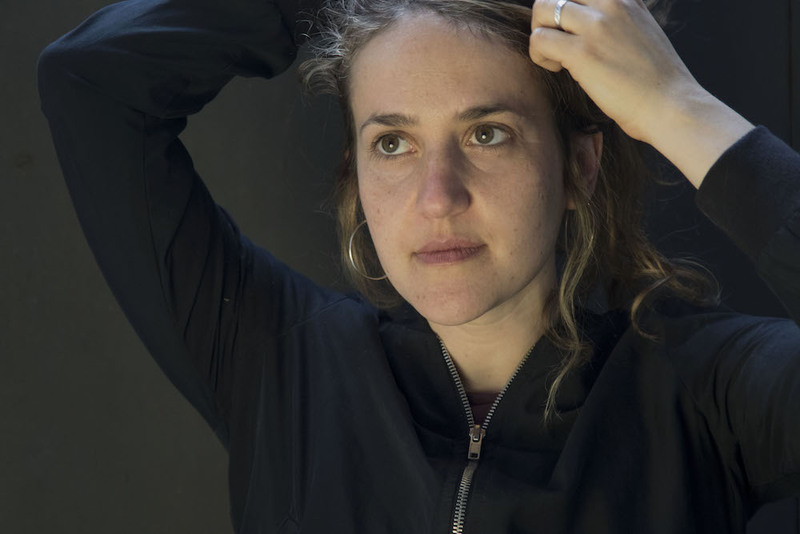 She later created solo pieces such as La Caresse du Coma and a collaborative performance project, GRAND MAL with Élie Ortis. Since 2015, she has been co-organising the performance festival OKAY CONFIANCE with a team of makers. 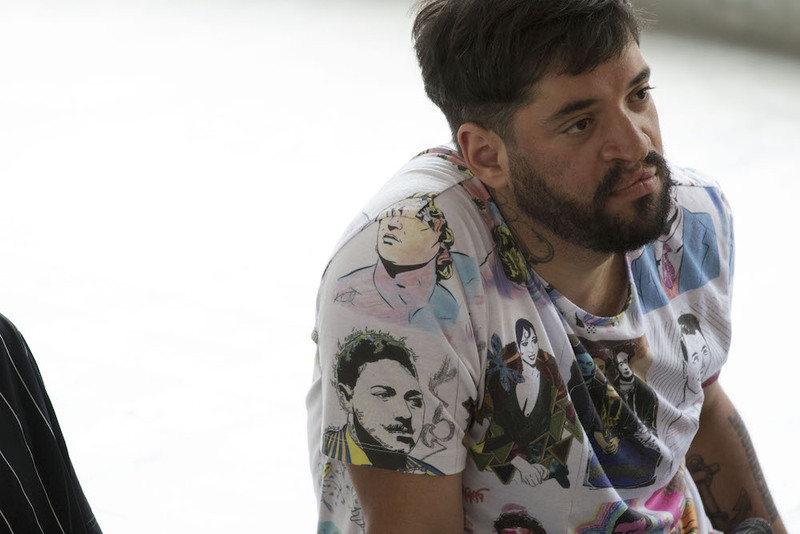 Beto Shwafaty (1977, São Paulo) produces installations, videos and sculptural objects using a diverse array of materials and methodologies, such as curatorial thinking, institutional strategies, criticism and archival research to activate diverse types of exhibitionary and discursive situations. His projects are informed by the notions of appropriation, dislocations and translation, generating works that are developed over extended periods of time. In his practice, he often focuses on the way historical episodes can leave traces on culture and be echoed in objects, spaces and sociocultural structures, which by consequence produce publicly shared meanings and behaviors. In this sense, he has been interested in subjects linked to history, sociopolitics, architecture and design, assuming these as narrative elements and evidences that may inform us on diverse aspects our present time. Performer, director and educator. Undergoing a DAS Theatre Master in Amsterdam at the Amsterdam University of the Arts. Worked over 10 years as part of the group pH2: estado de teatro (2007-2017), dedicated to present theatrical investigations in dialogue with philosophy, cinema and dance. Presently developing a solo research with the ambition to bring insurrection inside the performing space.